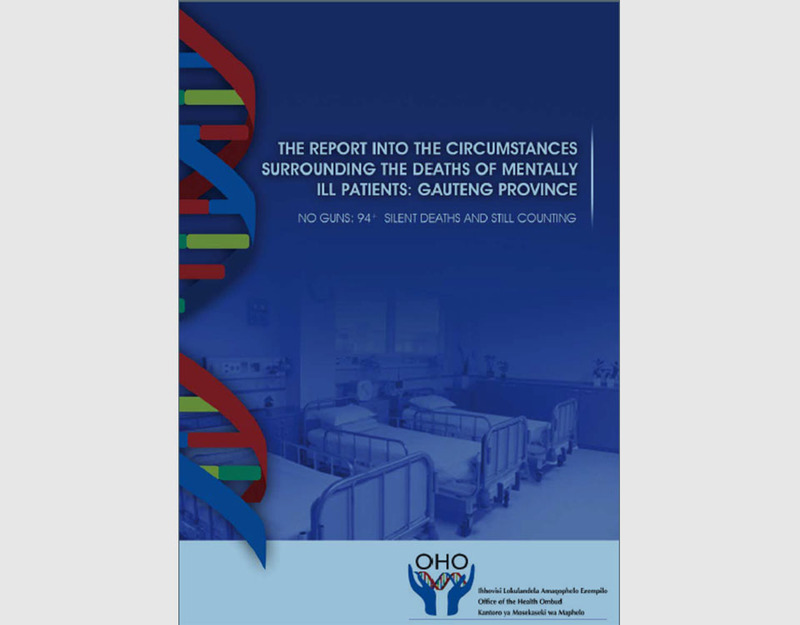 The Health Ombud, Professor Malegapuru Makgoba was requested by the Minister of Health, Dr Aaron Motsoaledi to undertake an investigation into the Circumstances Surrounding the Death of Mentally ill Patients in Gauteng Province and advice on the way forward. The Honourable MEC of Health in Gauteng, Ms Qedani Mahlangu was supportive that the Ombud should investigate the matter as priority and urgent. The investigation was instituted when the Gauteng Department of Health terminated the contract formally with Life Esidemeni (LE) Health Care Centre on 31 March 2016 and extended the contract for further months to 30 June 2016. An estimated 1371 chronic mentally ill patients were rapidly transferred to hospitals and 27 Non-Governmental Organisations (NGOs) from 1 April to 30 June 2016 in Gauteng Province. As part of the investigation, the Ombud requested for clinical records and any relevant information or documents from the MEC of Health and Gauteng Department of Health. He constituted a team of seven (7) independent psychiatric experts with vast clinical expertise as well as (1) expert experienced in public health to assist with the investigation. 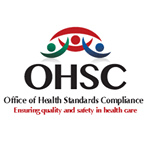 The Office of Health Standards Compliance (OHSC) also constituted a team of inspectors to conduct inspections at the health establishments concerned. The purpose of the inspections was to assess the veracity of the allegations as well as to determine the capability and competence of the alleged health establishments with regards to the management and care for mental health care patients. The investigation was requested in terms of Sections 81A (1-11) and 81B (2) of the National Health Amendment Act, (Act No.12 of 2013). The Ministerial Advisory Committee on Mental Health, chaired by professor Solomon Rateamane was dispatched even before the Ombud was appointed to urgently visit and assess conditions in NGOs to intervene where necessary and make the necessary recommendations to save lives and prevent more death or further loss of life. 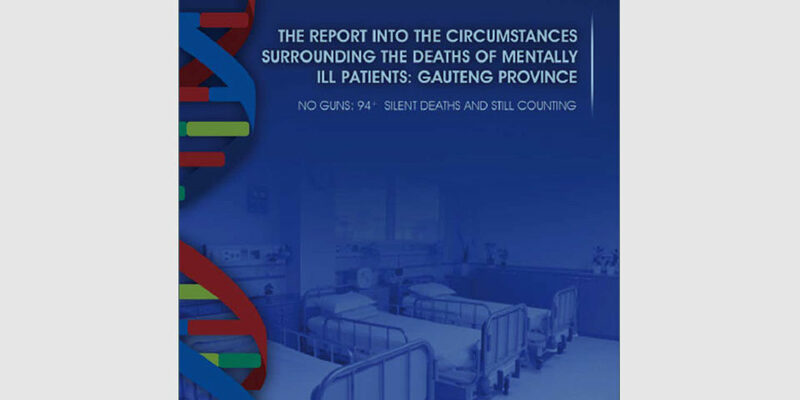 A total of ninety-four (94+) and not thirty-six (36) mentally ill patients (as initially and commonly reported publicly in the media) died between 23 March 2016 and 19 December 2016 in Gauteng Province. This total number of 94 should be seen as a working and provisional number. All the 27 NGOs to which patients were transferred operated under invalid licences; therefore, all patients who died in these NGOs died in unlawful circumstances. The NGOs where the majority of patients died had neither the basic competence and experience, the leadership/managerial capacity nor fitness for purpose and were often poorly resourced. The existent unsuitable conditions and competence in some of these NGOs precipitated and are closely linked to the observed higher or excess deaths of the mentally ill patients. Only 4 Mental Health Care Users (MCHUs) died in hospitals compared to 77 MCHUs deaths at NGOs; in absolute numbers, for every 1 death at the hospitals there were 19 deaths at the NGOs but correcting for the total base population the ratio is 1:7. This ratio is very high. When the MEC of Health made an announcement on 13 September 2016, 77 patients had already lost their lives. At the time of writing the Report, 94 patients had died in 16 out of 27 NGOs and 3 hospitals. 95.1% of deaths occurred in the NGOs from those directly transferred from LE Health Care Centre. Available evidence by the Expert Panel and the Ombud showed that a high-level decision to terminate the LE Health Care Centre contract precipitously was taken, followed by a programme of action with disastrous outcomes/consequences including the deaths of Assisted MCHUs. The Ombud identified three key players in the project: MEC Qedani Dorothy Mahlangu, Head of Department (HoD),Dr. Tiego Ephraim Selebano and Director Dr Makgabo Manamela at times referred to as dramatis personae in the text. Their fingerprints are peppered throughout the project. The decision was reckless, unwise and flawed, with inadequate planning and a chaotic, and rushed or hurried implementation process. Gauteng Marathon Project violated the Constitution and contravened, the National Health Act and the Mental Health Care Act (2002). Some executions and implementation of the project have shown a total disregard of the rights of the patients and their families, including but not limited to the Right to Human dignity; Right to life; Right to freedom and security of person; Right to privacy, Right to protection from an environment that is not harmful to their health or well-being, Right to access to quality health care services, sufficient food and water and Right to an administrative action that is lawful, reasonable and procedurally fair. Overcrowded NGOs which are more restrictive, is contrary to the deinstitutionalization policy of the MHCA and MH Strategy and Policy. Transfer of patients to far-away places from their communities is contrary to the policy of deinstitutionalization. Transfer of patients to NGOs that were not ready, that was not prepared properly for the task. Transfer of patients without the provision of structured community mental health care services is contrary to the Mental Health Policy. NGOs without qualified staff and skills to care for the special requirements of the patients. NGOs without appropriate infrastructure and not adequately financially resourced. NGOs without safety and security. NGOs without proper heating during winter, some were described as cold. NGOs without food and water, where patients became emaciated and some died of dehydration. Grant and sign licences without legal or delegated authority. 27 NGOs operating under invalid licences. To transfer patients without the knowledge of their families or relatives. Change the pre-selected placements of patients into NGOs, thus transporting patients to several NGOs. To transport patients particularly frail and sickly patients in inappropriate vehicles. To transfer patients from the structured environment of 24-hours non-stop professional care in a licensed institution to an environment of overcrowded, non-structured, unpredictable substandard or no care at the NGOs with invalid licences. To transfer any patient from a place of care to one of substandard or no care runs against the fundamental philosophy and principle of health care i.e. the promotion of well-being and life; this contravenes the Constitution. To transfer precipitously and chaotically without a well-thought-out plan and against the advice of experts and professional practitioners of psychiatry and mental health. To have made promises to families and the court that were not borne out by evidence, i.e. that patients care will not be compromised and patients will be transferred to places that are equivalent to LE Health Care Centre. The manner, the rate, the scale and the speed of transferring such large numbers of patients were reckless. These decisions/actions contravened the Constitution, NHA and the MHCA. The Premier of the Gauteng Province must, in the light of the findings herein, consider the suitability of MEC for Health, Ms Qedani Mahlangu to continue in her current role as MEC for Health. Disciplinary proceedings must be instituted against Dr Tiego Ephraim Selebano for gross misconduct and/or incompetence in compliance with the Disciplinary Code and Procedure applicable to Senior Management Services (SMS) members in the Public Service. In the light of Dr Selebano’s conduct during the course of the investigation, which includes tampering with evidence, it is recommended that the Premier should consider suspending him pending his disciplinary hearing, subject to compliance with the Disciplinary Code and Procedure applicable to SMS members in the Public Service. Disciplinary Procedures must be instituted against Dr Makgabo Manamela for gross misconduct and/ or incompetent in compliance with Disciplinary Code and Procedure applicable to SMS members in the Public Service. In the light of Dr Manamela’s conduct during the course of the investigation, which includes tampering with evidence, it is recommended that the consideration is given to suspending her pending her disciplinary hearing, subject to compliance with the Disciplinary Code and Procedure applicable to SMS members in the Public Service. The findings against Dr Manamela and Dr Selebano must be reported to their respective professional bodies for appropriate remedial action with regard to professional and ethical conduct. Corrective disciplinary action must be taken against members of the Gauteng Department of Health Ms S Mashile (Deputy Director; Mr F Thobane (Deputy Director); Ms H Jacobus (Deputy Director); Ms S Sennelo (Deputy Director); Mr M Pitsi (Deputy Director); Dr S Lenkwane (Deputy Director); Ms D Masondo (Chairperson MHRB); Ms M Nyatlo (CEO of CCRC); Ms M Malaza (Acting CEO of CCRC); in compliance with the Disciplinary Code and Procedure applicable to them, for failing to exercise their fiduciary duties and responsibilities. All the remedial actions recommended above must be instituted within 45 days and progress be reported to the CEO of the OHSC within 90 days. The Ombud fully supports the ongoing South African Police Service (SAPS) and Forensic Investigations underway. The findings and outcomes of these investigations must be shared with appropriate agencies so that action where it is deemed justified can be taken. The National Minister of Health should request the South African Human Rights Commission (SAHRC) to undertake a systematic and systemic review of human rights compliance and possible violations nationally related to mental health. Appropriate legal proceedings should be instituted or administrative action was taken against the NGOs that were found to have been operating unlawfully and where MCHUs died. In light of the findings in the Report, the National Department of Health must review all 27 NGOs involved in the Gauteng Marathon project; those that do not meet health care standards should be de-registered, closed down and their licenses revoked in compliance with the law.